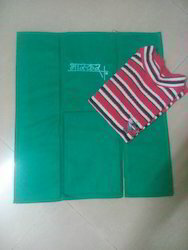 We are a leading Manufacturer of t shirt folder from Pune, India. With an aim to fulfill varied requirements of our valued clients, we are engaged in offering T Shirt Folder. This stylish and fashionable folder is manufactured using quality materials and advanced technology. Our professionals manufacture all kinds of folder according to the trending demands and clients’ needs. In addition, the offered folder is built and developed adhering to industry standards. Furthermore, quality control team opts for strict quality inspection to assure flawless performance of the folder during operation. Besides, clients can get the folder from us at industry leading cost. Looking for T Shirt Folder ?